James A. (Buck) Durham, P.E. Foundation and structural engineer performing: commercial building inspections; foundation/structural inspections for Realtors, mortgage companies, banks, contractors and home/building owners; and structural design services to owners/contractors in the building construction industry. Buck is the backbone of the company and works with his team to solve real estate problems in Huntsville, AL, all over North-Central Alabama. 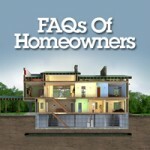 Click on the picture above to find a list of our most Frequently Asked Questions.